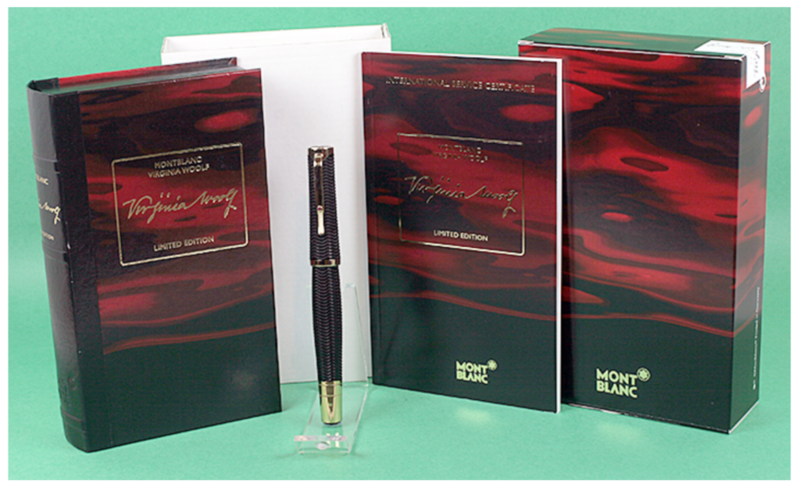 This is a 2006 Montblanc Virginia Woolf Limited Edition piston-filler in Black Ringed with gold-filled trim. Features a red jewel in clip. Broad nib. New-old-stock. Mint in original box with barrel nib size label, papers outer box and outer sleeve. 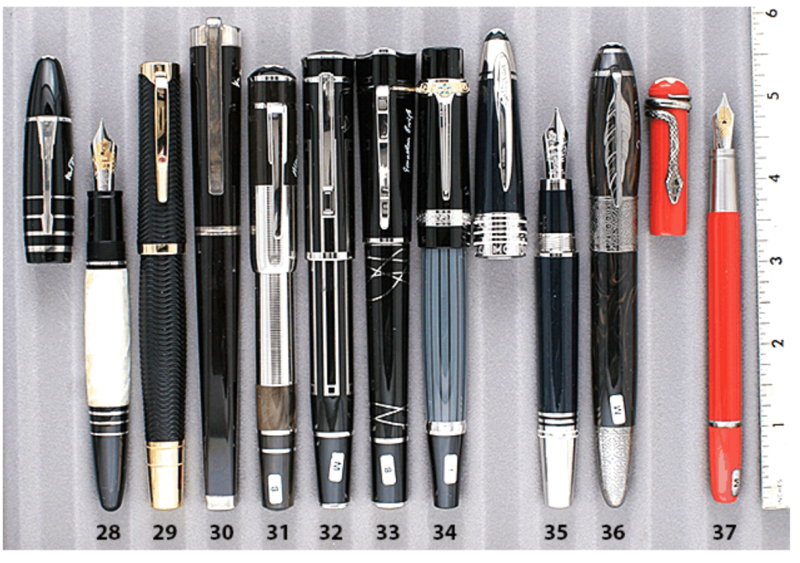 Two available: (1) Medium nib; (1) Broad nib. Item #29 in Catalog #85.